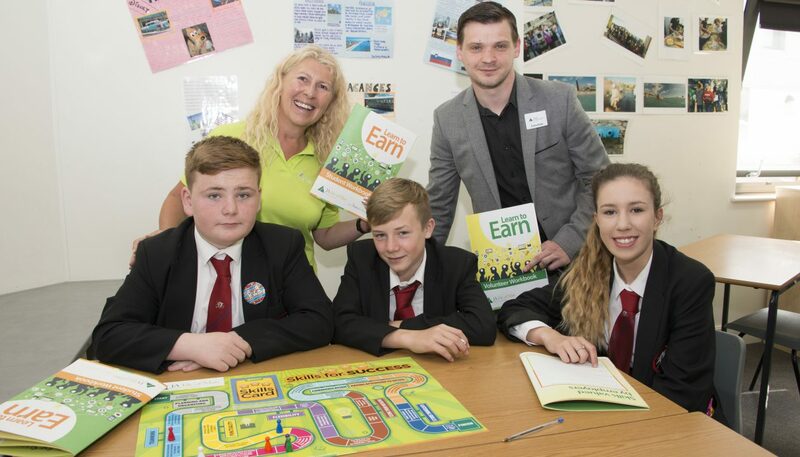 The Island’s Year 9 students are set to gain a deeper understanding of the workplace and employers’ expectations after the Z Zurich Foundation (the insurers’ charitable arm) provided a three-year grant to Manx charity Junior Achievement to deliver its Learn to Earn programme. The programme, which takes the form of a one-day workshop delivered by Junior Achievement volunteers, helps young people to develop the soft skills required by employers and prepare them for the world of work. Junior Achievement chief executive Sue Cook said: ‘We’re extremely grateful to the Z Zurich Foundation for this three-year grant. The Foundation shares our recognition of the importance to give young people the best possible start to their careers at a time when the jobs market is becoming increasingly competitive. Learn to Earn helps students to realise their entrepreneurial potential and alerts them to the wide choice of job opportunities available to those who take their studies seriously. ‘Outcomes from the programme show that some 96 per cent of students exposed to Learn to Earn gained a better understanding of what employers expected from them. And 82 per cent said they found our Manx jobs booklet which accompanies the programme useful for learning about the diversity of career pathways available in the island and the job qualifications needed. Dee Copley, Head of HR for Zurich International said: ‘Zurich is delighted to be supporting young people on the Island and the work of Junior Achievement. We are committed to making a positive, lasting impact on the local community of which Zurich is an integral part. For Zurich a huge focus is on youth empowerment, and we share Junior Achievement’s commitment to inspire and prepare young people to succeed in a global economy. We know that this directly affects Zurich’s business – we need young people to be prosperous and able to participate in the workforce, as they will become our future employees, our future customers, maybe even our future shareholders.